House martins chat and twitter as they fly; bees are buzzing, and flies too. The roar of a distant plane reaches down from 30,000 feet; a finch calls, sparrows chatter on; swallows squeal as they swoop and dip; a cow lows, a while later a horse neighs. A milk tanker passes in the lane and a tractor follows with a farrow rattling behind. A buzzard calls and somewhere goldfinches chatter out of sight; a crow caws and a seagull cries. Later, a blackbird is startled and shouts a warning. 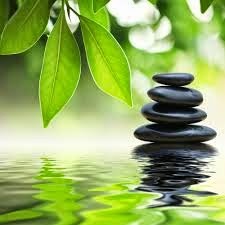 All these are transient sounds, coming and going all the day, that we notice only if we sit and listen for them. I spent more than an hour to list those above. But what is that? That all-pervading, nerve breaking persistent insistent noise? It is the drone. 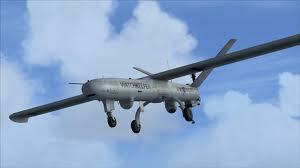 It is Watchkeeper, the MoD’s unmanned aerial vehicle, which is being tested day and night over our countryside. The level of the noise is enough to invade your consciousness. It is louder than the distant plane, the seagull and the milk tanker, than all those sounds. And once it has you, you cannot shake it off. It goes round and round with its constant hum. The drone, the sound of our summer. And the soundtrack for the many who come on holiday here to our beautiful once-quiet countryside of west Wales. I hate them too. Why can they not practice out at sea? I cannot see what it achieves by droning around the countryside. Ceredigion is a beautiful county but not a wealthy county as it relies on agriculture and tourism. Tourists come because it is quiet, tranquil and peaceful. They will not visit if they have to listen to drones. You would have the thought the powers that be would have thought this through or do they think Ceredigion is not worth worrying about? Well put.... and It is noticeable that are local papers' headlines is ' Concern over UAV night flights.' Here , here we shout.... but a little late in the day too.... where were their headlines when original doubts were being cast. Yes, I'm up for a demo!